Creating a new website from scratch can be a frightening experience. Not to mention, it can also be extremely time-consuming. And last but not least, if you hire an agency to do all the design work for you — your website could also create quite the dent in your wallet. Which is more the reason why I love WordPress so much. It’s extremely modern, provides a ton of optimization choices, and you can get a superb design for as little as $50. Though, you can also get a free design and use modern page builders to build your landing pages and other website pages. Responsive Health Coach WordPress theme with modern design, 1-click demo import, Drag & Drop Builder and 6 months support. In 2015, we at StylemixThemes published the HealthCoach theme. As it turned out, there was a huge demand for such a theme, and we now have more than 2,200 personal coaches using HealthCoach. The theme includes exactly the type of features that you would need to both promote your services, but also attract clients. And while we think that HealthCoach is perfect for any personal coach out there, we also understand that there are other themes available in this same category. So, rather than keeping those themes secret, we have decided to put together a list of the 10 most prominent WordPress themes for personal coaches. Before we get to the themes list, let’s first recap the type of features you should seek when deciding on a theme for your personal coach website. Web design trends tend to change from one year to the next, so it’s important to refresh your memory and keep up with the latest standards! Does the theme include an online store? BeTop – Coaching & Speaker WordPress Theme for Business, Yoga, GYM, Fitness, Health & Life Coach Website. HealthCoach is not the only theme that we have published in the coaching space. Most recently, we launched BeTop — an exceptional WordPress theme for coaches of all kinds. It seems to be a theme that resonates the most with yoga instructors, health coaches, personal fitness trainers, and any kind of an individual who is also looking to promote his services online. With the BeTop theme, you can open a stunning eCommerce store by simply clicking a button. And the emphasis is on the services part because not all WordPress themes provide native WooCommerce functionality. Fortunately, BeTop is built from the ground up to help you sell your products, services, and courses. Is the theme optimized for performance? The more complex the design, the more slower the website tends to be. 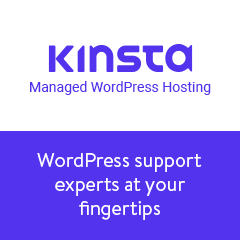 WordPress has also been known as a ‘slow’ content management system. Slow in a sense that unoptimized code can definitely have a huge impact on your website performance. And more often than not, it’s developers themselves who make themes that are not optimized in accordance with modern standards. As a result, we advise everyone to double check if a theme is optimized for performance. Heck, if you find a design that you enjoy, reach out to the theme developer and ask him personally, “Is your theme optimized?!”. Last but not least, make sure you’re always tweaking your site for performance, too! I recommend looking into platforms such as EasyEngine or OpenLiteSpeed WordPress — both of which have been created to improve the WordPress user experience, in terms of speed that is. Your website isn’t going to end up looking like the actual demo websites that you see… And the reason is simple. You are going to use different images of yourself and your products, you are also going to use a different style of copywriting to describe yourself. I love to check out inspiration sites to find new and exciting designs, and then later convert those design ideas into something that I can add to my WordPress theme! Not only that, you’re more than likely going to use additional (or less of them) sections for your homepage and other pages. And all this customization means that your site will look different. It’s only that, a reminder. But definitely, one worth remembering. So, if you can and have the time to do so, experiment with different themes and try to see what they would look like if you added your own content. Anyway, now that all that is out of our way, it’s time for the big reveal! Let’s see which personal coach themes are currently considered the best of the best. Blossom Coach manages to set the bar extremely high, especially when considering the fact that this is a free theme. Immediately one of the things that strike me the most is the precise alignment of different website sections. E.g. There’s a wonderful section dedicated to highlighting information about you. And in this section, you can add an in-depth bio description, a full-size photo of yourself, your signature, and even a button that leads visitors to the full About You page. In addition to all this, you can add sections to promote your specific services or products. Here, you are able to add a custom background image and an overlay with text and a CTA button. Again, very effective use of pleasant UX elements. And lastly, Blossom Coach is more than capable of providing you with features like subscription boxes, contact information, services pages, testimonial widgets, and even a Google Maps widget. It’s a tremendous amount of features, so make sure you dig deep inside the Demo pages! Optimized for performance, and more importantly, optimized for mobile-first. Mobile-First is emphasized by Google as a major SEO ranking factor. Wonderful columns and widgets for displaying your services that you are providing. Thoughtfully designed Blog section so that you can showcase your amazing writing and tell your audience personal stories. As it happens, Life Coach is actually an alternative version of Blossom Coach. Also known as a child-theme. In all fairness, both themes are actually quite similar in style. With the exceptional that Life Coach (this theme) is using slightly more modern design colors. Also, the alignment of certain elements is different, creating a more dynamic feel to the design. Nevertheless, Life Coach feels like an excellent fit if you work as a social media influencer, a coach in any specific area, perhaps a consultant or an expert in your field. It’s truly a theme that enables you to talk about yourself and do so in a business-like fashion. Custom sticky-header that you can use to attract new subscribers to your newsletter. Full-on compatibility with WooCommerce so you can start a digital store on day one. Yoga has exploded in popularity, and maybe if you are a yoga instructor yourself — you can relate to this growth. And because of this increase in popularity, there are also a lot more Yoga-related WordPress themes on the market. One of them being: VW Yoga Fitness. This stunning and feature-rich theme will help you promote yourself either as a yoga instructor or as a personal coach at any time of the day. The layout, for example, adjusts whenever the screen size is changed. So, as a result, it’s possible to see the website from any kind of a mobile or tablet device on the market. You can also add galleries, service pages, and even let new clients book your classes directly from the website. As a free theme, it provides a phenomenal amount of modern features — perfect for helping you kickstart your coaching business. Custom page layouts so that you can enable amd/or disable sidebars. A Theme Options dashboard that acts as the central configuration panel for all your website settings. SEO & User-Friendly theme that’s compatible with WooCommerce and all modern browsers. We already gave BeTop a little mention earlier in the article, but now is the time to dig a little deeper. We are extremely proud of how well-rounded this theme has ended up to be. And looking at sales data, we know we are not the only ones who are enjoying this magnificent design selection. Right off the bat, BeTop includes demos for therapists, yoga teachers, motiviational speakers, business-minded individuals, health coaches, fitness trainers, swimming coaches, and boxing coaches. And expect a lot more demo designs to be added as the year progresses. Another thing is the incredible diversity. You can customize the display of your services in countless design variations. Not to mention that you can design a custom page for each of the services that you offer. From this perspective, BeTop is built to cater to specific needs, and not for the sake of looking pretty. Although, it does look amazing. And your website visitors are going to appreciate how pleasant is this theme on the eyes. The creamy selection of colors in combination with design principles makes for a truly excellent navigation experience. This is every UX designers dream! Is based on the Elementor Page Builder. As you know, Elementor is one of the most user-friendly page builders on the market. So, digging deep and creating custom designs using this theme and Elementor is not going to pose any real problems. An in-built Reservations System to that clients can create bookings without needing to call you. This is a massive feature that very few coach-themes tend to include. Enjoy this feature! A custom system for creating Headers and Footers. Take control of both upper and lower sections of your site, and achieve a design that feels great to you! Rosalinda is a tremendous theme, created for coaches, lifestyle enthusiasts, and pretty much anyone looking to promote their service-based business. Among the top users, you’ll find lifestyle bloggers, fashionistas, nutritionist, chefs, writers, and coaches of all kinds. You can’t help but appreciated the cozy and warm design. As far as customization goes, Rosalinda is optimized for the WPBakery page builder plugin. Also, the theme includes plugins like Instagram Feed, Essential Grid, and Booked — your All-in-One solution for managing appointments, reservations and more. But this is not all. The theme itself is based on ThemeREX — a versatile WordPress framework which opens the door for in-depth customization options. As a result, you can create changes within this theme without ever needing to write any code! How wonderful is that? Also, Rosalinda’s feature list includes custom widgets, shortcodes, and a tremendous amount of website sections to allow you to better explain yourself and the type of services you provide. Optimized for mobile devices. Even content sliders are optimized for best mobile experience. Multi-Layout Pages: Pick and choose for pre-existing layouts for your pages and posts. No need to create custom styles! Create a stunning Mega Menu to help your readers find important content more quickly. Do you love surfing? Are you a surfer? Heck, are you a surfing coach? Because if you are, then Surfy is the perfect theme for you. It’s the culmination of many unique design ideas packed together into one unique theme. It’s a theme that not only promotes you as a professional coach but also helps to highlight the passion that you have for the sport. You can add galleries, video backgrounds, and even write long-form stories using the blog. Every page, every section has been carefully crafted to ensure that whenever new visitors come to your site — they instantly feel immersed. Just like they would feel on a surfboard, riding a wave under a sunlit sky during the sunset. On the business side — Surfy lets you add pages for your services. Specifically, you can create custom pages for different types of packages you provide. And each page can have a custom design, including a custom price that reflects the specific package. You can learn to use Surfy in just a few hours, but the benefits you’re going to yield long-term are worth a lifetime! Multiple homepage designs so that you can get some inspiration, but also explore the possibilities for this theme. Let your clients create direct bookings with you by taking advantage of the Appointment Booking plugin. Wonderful stuff, and extremely easy to use! Blog like a professional with a pre-designed blog layout. Publish not only stories, but also galleries, videos, photos, audio files, and quotes from your favorite surfers! Fitzeous is a “consulting” theme for professionals who provide personal services. Though, with such an ample amount of demo websites, you could technically adapt this theme to any kind of a website purpose. At the moment, most demo designs imply that Fitzeous is for health coaches and anyone else within the scope of that category. The design quality is absolutely marvelous, as is the list of features. You can effortlessly take a serious tone and talk about your services. Afterward, you can ‘cool down’, and provide your audience with blog posts, interesting products, and inspiring reviews from your previous customers. Build beautiful pages easily and effortlessly with Drag and Drop WPBakery Page Builder plugin. (Formerly Visual Composer). Integrated design structure so that the design feels truly authentic and professional. See for yourself! A powerful customization panel to put you in charge of all the design nooks and quirks. If you are a life coach or any kind of a personal coach, then Celeste is a fantastic theme that you can use to establish a digital presence. It is created in a way that best reflects the qualities and business practices of coaches in all walks of life. The theme includes just the right amount of sections and layouts to give you a chance to explain your business in full spectrum. Also, the theme is optimized to meet the requirements of performance sites such as Google PageSpeed, GTMetrix, and Pingdom. So, expect lightning fast performance from the Celeste theme! Perform real-time website editing and customization using the WordPress Customizer. More than 30+ elements you can incorporate in any part of your designs. Add an Under Construction page while you work out which design you wish to use for your live site. Niobe is one of those rare themes that keep you captivated from top to bottom. AxiomThemes advertise Niobe as a theme for gym trainers and nutritional coaches. But, we know that it’s great for anyone in the sport, fitness, and health industries. It’s simply built to support the idea of promoting individuals and complexes who offer specialized services. And, you cannot overlook the comprehensive Bookings system which is going to help you onboard new customers with ease. On the design side of things, I couldn’t be more happy with the full-width divided style choice. The bold and large typography makes it easy to highlight the selling point of all your services. Not to mention, there are ample amounts of widgets and other layout options for you to use in order to thoroughly outline your selling pitch. A tremendous theme, make sure you check it out! Updates are automated, so you’ll always be running the latest version of this theme! Native support for the following plugins: WPBakery Page Builder, Revolution Slider, Booked Appointments, Essential Grid, MailChimp, and Contact Form 7. Though you can, of course, add any kind of a plugin you like outside of these as well. Start your online store today with WooCommerce. A custom design is provided to help you sell your products and merchandise directly from your website. And for the last theme we have MotivatorGuru which is provided to us by CommerceGurus. This is a theme that really focuses on the aspect of promotion, especially when it comes to promoting yourself as an expert in a given field. Unlike other themes that try and highlight services, MotivatorGuru takes the approach of promoting your content. In other words, if you’re a personal coach and you also love to produce content — this is a theme that’s going to help you do both. E.g. MotivatorGuru includes a widget that you can use to load up your entire playlist of YouTube videos from your channel. This way, your audience can navigate all your videos from your website. Also, you can write different types of blog posts, including long-form stories but also food-recipes! Who doesn’t love a good smoothie recipe as a substitute to the pharmaceutical industry? You can add wonderful pages to talk about your programs, your offers, and your coaching practice in general! Overall, don’t miss out on trying this theme for yourself. Explore the demo, try out different pages, and who knows — you might actually use it for your next website project. Enjoy! The theme is based on countless hours of market research to find out what makes ‘coaching’ websites convert more. The end result is this theme right here. It could be one of the easiest themes to use, with one of the most diverse settings dashboards you’ve laid your eyes on. Extremely flexible, and welcoming towards beginners! And you don’t have to spend endless hours trying to recreate the demo websites, you can simply activate any demo site using the one-click installation process. Well, that was one fantastic road we took here. A lot of great themes, some with exceptional designs, and others with exceptional simplicity! So, as you can see, you can use WordPress to create a stunning website as a personal coach. Or any kind of a coach for that matter. Diversity plays a major role in ensuring that a web design covers all areas of use cases. And when it comes to all the designs we have looked at in this post here, I couldn’t be more happy with the results! I hope you feel the same. Let us know in the comments when you have finished creating your website by using one of the themes mentioned here. We’d love to give it a thumbs up!